Bewleys was a midwestern flour milling company for whom this printed material was published for customers. 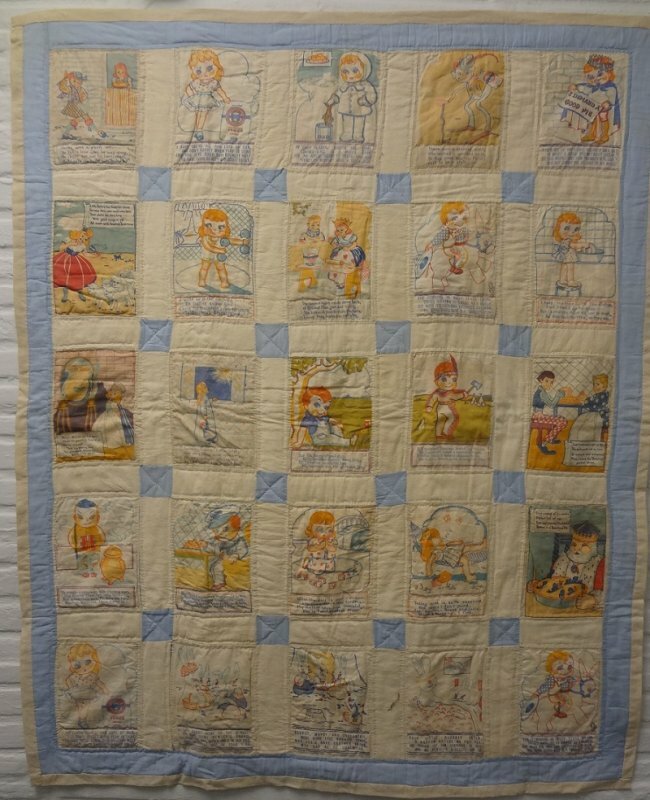 Someone turned it into this charming child's quilt that remains in wonderful condition to this day. Lots of editorial detail is legible in the stories beneath each figure. Much fun teaching can be accomplished if this is given to a young child. Appears to never have been used.